Divorce is not pretty; even the nicest attempts at dissolving a marriage can become ugly. When children are involved, it is even more tragic. Now, a 2-year old Iowa boy is the victim of one such custody battle that turned deadly. Little Mason Wyckoff was found dead inside a house when sheriff’s deputies were called to the scene. When they arrived, they found the boy’s mother lying unconscious nearby. The baby was pronounced dead at the scene. The boy’s father, Dillon Wyckoff says that he and the mother, Stephanie Erickson, had been locked in a bitter custody battle since the two separated. Wyckoff says that the tragedy could have been prevented.. The mother, who was found unconscious, remains in a local hospital in very serious condition. The causes of her injuries and Mason’s death have not yet been released. Apparently, Erickson had been suffering from depression. Because the couple was never married, Erickson had always had sole custody of little Mason. She had recently been cleared in a Department of Human Resources investigation. However, Wyckoff says that his family feared that something tragic like this was going to happen. Police have said that they believe that everything that happened, happened from inside the home. Erickson has two other children from previous relationships. Her 7-year old son was playing in the yard when deputies arrived. This little boy did not have to die; and even though the parents were not married, the father was trying to gain custody because he feared that the worst would happen. 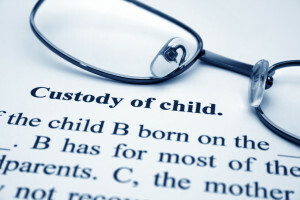 So, we have a cautionary tale about custody issues – the children so often come last.